Creates a tileable surface over the dam. Made from expanded polystyrene (EPS) and coated with acrylic polymer finish for thin-set installation of ceramic or stone tile. Solid curb mounts directly to substrate. 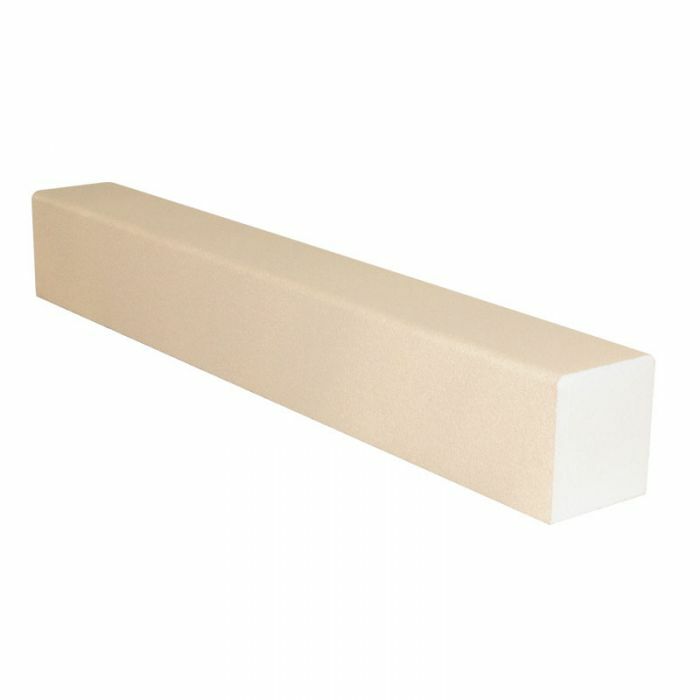 Noble Curbs are lightweight, durable and ready to tile. 1. Noble Solid Curbs are made from high density, expanded polystyrene (EPS) and coated with an acrylic polymer finish. They are lightweight, durable and are not a food source for fungus and mold. 2. Other Tools & Materials Needed: Fine tooth saw, latex modified thin-set mortar and 100% silicone sealant. 1. Substrate should be level and flat prior to commencing work. Read all instructions. NOTE: Noble Solid Curb should be installed prior to installation of shower pan. 1. Cut Noble Solid Curb to desired length and dry fit. 2. Apply latex modified thin-set mortar to floor. 3. Apply latex modified thin-set mortar to bottom and both ends or curb. 4. Embed Curb into thin-set. NOTE: Weight (i.e. boxes of tile) can be applied to embed Curb into thin-set. 5. Carefully remove excess thin-set. 6. Allow thin-set to cure. 7. Caulk with 100% silicone sealant where Curb meets wall/jamb. 8. Install shower pan per manufacturers instructions, applicable standards and TCNA guidelines. 9. Extend waterproofing membrane (i.e. NobleSeal TS) up and over Curb. NOTE: NobleSeal membranes may be bonded to Curb using latex modified thin-set. TILE INSTALLATION: Tile using latex modified thin-set per industry guidelines.